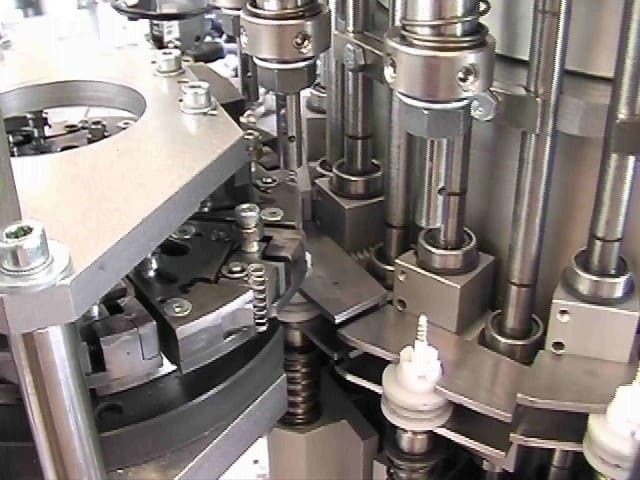 Our highly reliable German built continuous motion assembly machines are specially designed for small components such as springs, gaskets, syringes or pumps. Whether small, stiff or elastic, we can build the machine to assemble your product. 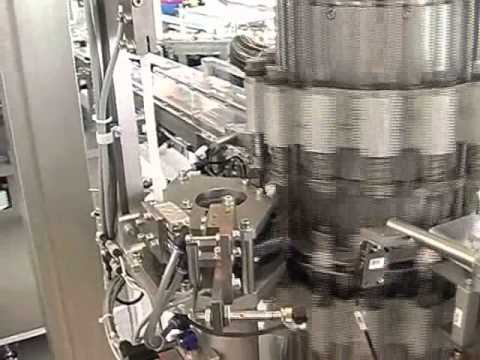 We have experience in dip tube assembly with speed at 500 parts per minute. If needed, different output options are available. The machine is effective for manual handling savings, transport savings and component savings. Easy to operate and flexible. We are also experts in cannula assembling. We are able to bend the cannulas, assemble them with pucks and inserting them into cassettes at a speed of 1100 cannulas per minute. Laser welding and marking, joining, dosing and punching are also possible with our machines. Raupack is supplying a Dip Tube assembly machine to the UK at the end of 2010. This continous motion assembly machine runs at 500 valves pre minute and has 3 out-feeds each procuing different length dip tubes. The new Flexomat Valve Assembly Machine is designed for use as a development machine for new Valves. It is a compact, intermittent motion entry level assembly machine that can be modified to handle different components. All parts are fed into a single turret where up to eight stations assembly the valve.